Yes! Not only does Galveston Island have over 30 miles worth of pet friendly beaches, restaurants & attractions— Sand `N Sea is happy to offer over 50 pet friendly vacation rental options on the beach & bay! Bring up to two small dogs with a $125 non-refundable pet fee. Every canine guest is greeted with a special gift at check-in, as well as our exclusive Vacation Tips for Vacationing Pets guide. After all, it’s not a vacation without your best pal! Scroll down and click on a house picture to view more photos, floor plans, availability, guest reviews, amenities & more. For rates, just enter your arrival and departure dates to see the total price. We make it easy to see the cost — there are no hidden fees. 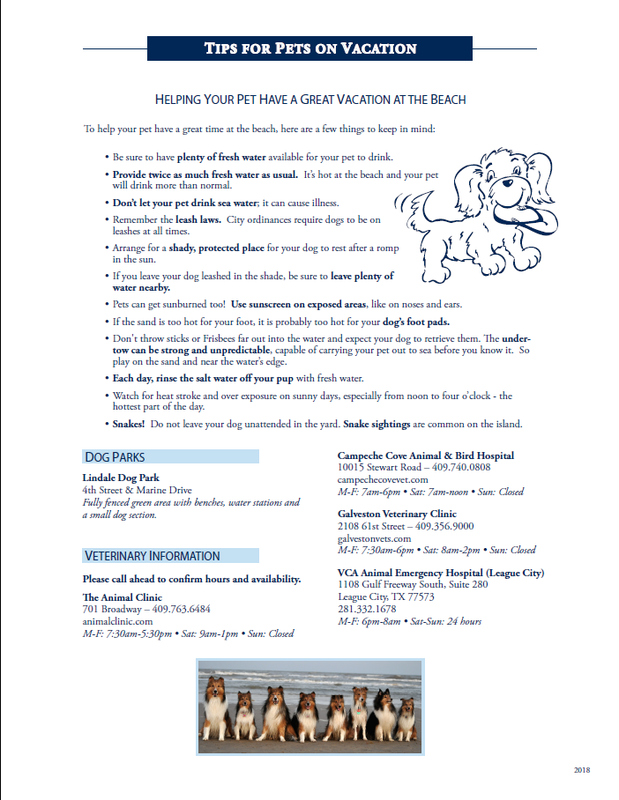 Find the perfect beach home for you and your dog? Let’s book it! Reserve your vacation online quickly and securely. Do you have questions or want to book via telephone? Give us a call at 409.797.5500.